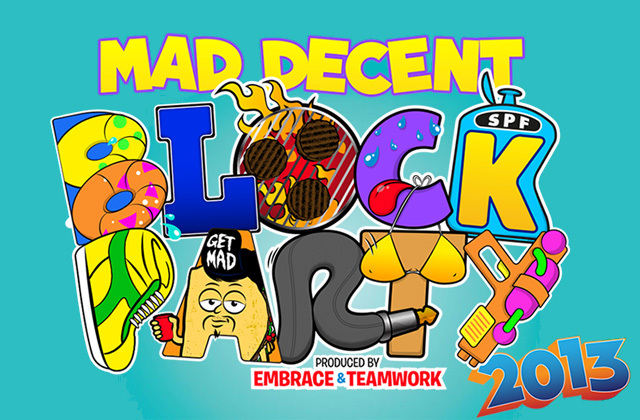 Diplo-led label Mad Decent today released the lineup for their infamous Block Party series set to stop in 13 North American cities this summer. The tour kicks off in Calgary on July 19 and wrapping in San Diego on Sept. 15. Musical talent varies in each city along the tour but the list features names like Major Lazer, Flosstradamus, Dillon Francis, Baauer, and even Big Gigantic. A limited number of Fanclub tickets go on sale tomorrow (Wed., May 1), which will also include a 30 day premium Mad Decent membership to their subscription service at https://drip.fm/mad-decent/. Tickets will go on sale to the public this Friday and Saturday via maddecentblockparty.com. VIP tickets will also be available.